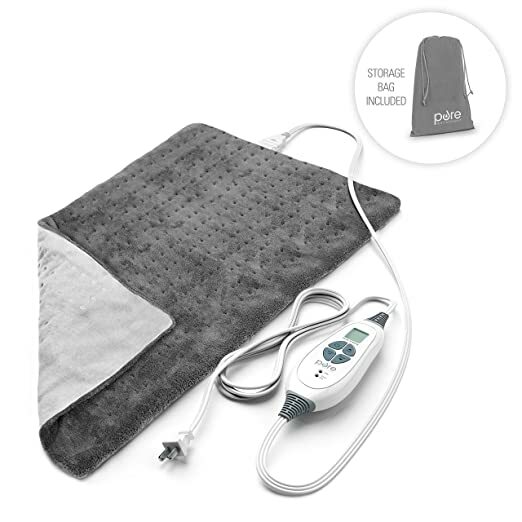 This heating pad can seriously reduce your severe upper back spasms. This device right here was made larger than the rest so that you could use it for a full back recovery rather than just a specific spot. This device is also made out of soft microplush fibers to optimize comfort while in use by the owner. This device also allows dry or moist heating so that the user can switch up therapy options. And do not worry if this product breaks down, it automatically comes with a free 5-Year warranty from the moment you buy it. This product was rated a 4.4 stars out of 5 by 1,055 customers on Amazon. 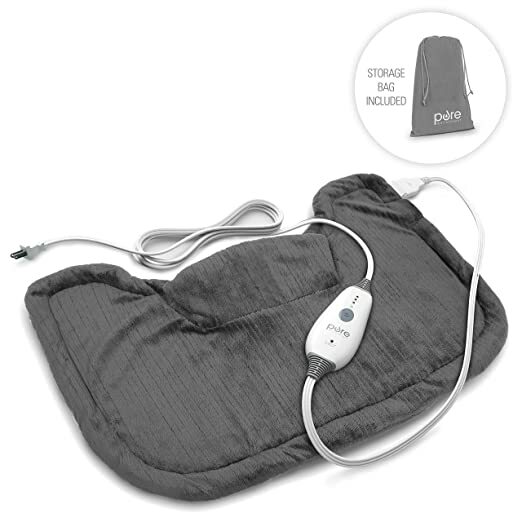 Click HERE to check out the best prices for the PureRelief Heating Pad. This device is phenomenal for people with neck and shoulder pain. This design is meant to sit right on your shoulders to warm up and relax your tense neck and shoulder muscles, thus causing your severe upper back spasms to calm down. This heating pad has an extremely soft fabric and is able to heat up in seconds to provide instant relief. This device provides a free 5-year warranty, so no worries if it breaks down. This product was rated 4.1 stars out of 5 by 544 customers on Amazon. Click HERE to check out the best prices for the PureRelief Neck and Shoulder. This heating device is absolutely tremendous if you want to get up and walk around while getting instant relief from your severe upper back spasms. Attached to this device are flexible stretchy velcro straps to keep this heating pad in place around the area in pain. Also, this heating pad is fully machine washable in order to keep it clean for daily use. This device comes with a free 2-year warranty in case something ever happens. This device was rated 4.1 stars out of 5 by 298 customers on Amazon. 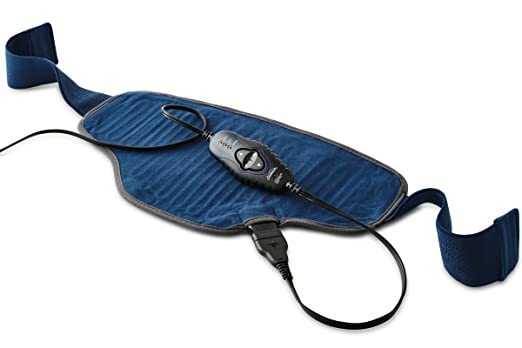 Click HERE to check out the best prices for the SunBeam Heating Pad. This heating pad is quite unique. It comes with essential oils that you rub into the pack resulting in a more relaxed sever upper back spasm relief. These oils cause your muscles to relax while the heat causes them to relax even further. 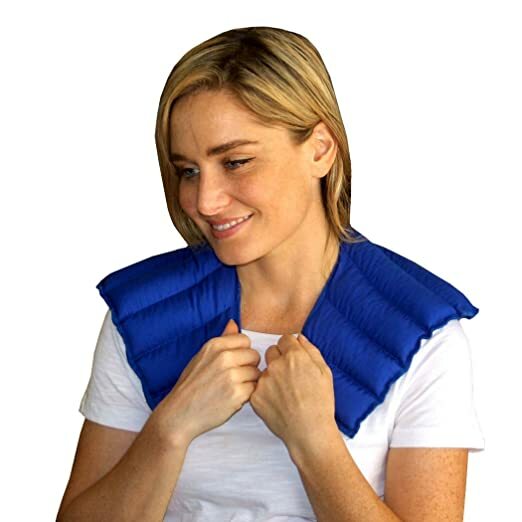 This heating pad is a light three pounds putting gentle pressure on your joints and muscles. This device has a soft fleece fabric on one side and cotton on the other, you can use either side for maximum comfort. This device was rated 4.5 stars out of 5 by 557 customers on Amazon. Click HERE to check out the best prices for My Heating Pad. Here I showed you the best devices to reduce severe upper back spasms. However, there are many other ways to reduce back spasms and back pain over all. Be sure to look at all the blogs on how to reduce your pain today! Also, do you spend all day sitting on an office chair? Click HERE and check this blog out!